iOS 10.3 has a brand new file system, which means this will be the riskiest upgrade for your iOS device to date. The next major update to iOS 10 – and probably the last before Apple moves on to iOS 11 – will include an all-new file system. The Apple File System or APFS is Apple’s newest in decades. Current Apple devices such as the Apple Watch, iPhone, iPad, Apple TV and Mac use the HFS+ file system. Apple is planning to move its entire family of devices to APFS by the time the next version of macOS, 10.3, is released. Devices running iOS 10.3 will be the first to get this major architectural change, and that is exactly why you need to back up right away. We previously covered how to back up your iOS device, so be sure to check our guide for details. So, what’s the big deal about APFS? Well, the last time Apple released a file system for use on a system drive was in 1998. That was HFS+, which was an incremental upgrade to the Hierarchal File System (HFS) introduced in 1985. A file system is not something average users normally get excited over. But this is something that happens maybe once a decade. So, what is a file system? A file system is a core part of any operating system; it manages the storage and retrieval of data on your hard disk. When you have a hard drive or thumb drive that is formatted for a Mac (and thus won’t work on a Windows PC), that refers to the file system it uses. When you introduce a new file system, you’re changing the entire infrastructure of a drive. That means to install iOS 10.3, Apple has to take all your personal data, music, voice recordings, notes, etc. and set them aside, wipe your device clean, and reformat it with APFS. This is supposed to happen magically behind the scenes without any hassle on your part—but this is a significantly riskier upgrade than usual. The current HFS+ file system was actually a patchwork over generations of Macs in an age when the idea of fast storage mediums in large quantities were hard to imagine. The APFS file system is designed for a new generation of devices, which happen to come in an assortment of form factors: wearable (Watch), mobile (iPhone) and high performance (Mac Pro). APFS also improves in areas where Apple cares deeply: security and privacy. At the heart of APFS is support for encryption, which protects sensitive files and metadata using single and multi-key encryption. Users should also see dramatic performance improvements in areas such as backups. APFS supports cloning with efficient use of disk space when making copies of data stored on the same drive. Data integrity is another area APFS improves upon. Although HFS+ has long included journaling support, which protects against system crashes and events like power outages, there have been reports of data corruption over time. Other features include snapshots for creating a point-in-time, a read-only instance of the file system. 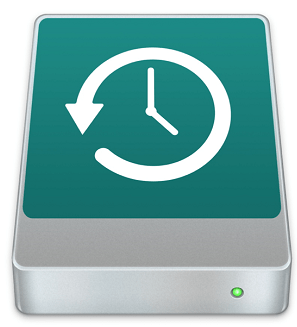 Existing features such as Time Machine backup software will probably benefit the most from these improvements. Early preview builds of iOS 10.3 indicate that APFS will be supported on the iPhone 5s and later. As long as your device supports iOS 10, the update to 10.3 with APFS will be automatic and transparent. Just to be safe, though, you might want to let other users guinea pig it for a while before taking the plunge yourself. Have you tried the iOS 10.3 beta? How did the upgrade go? Let us know in the comments!